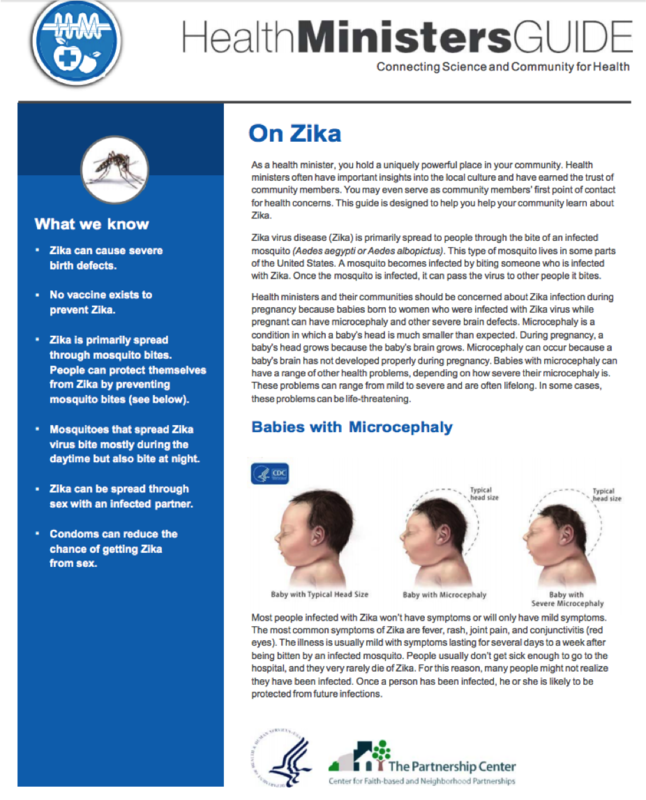 Overview of Zika prevention, transmission, treatment, and Microcephaly directed toward Ministers of Health. Messaging is also focused on women, families and parents. Link to guide in English.